Product prices and availability are accurate as of 2019-04-18 00:09:55 UTC and are subject to change. Any price and availability information displayed on http://www.amazon.com/ at the time of purchase will apply to the purchase of this product. Zebco Ready Tackle brings truth to the phrase "ready to fish" by expertly grouping the right rod, reel, and other tackles to match your exact needs. 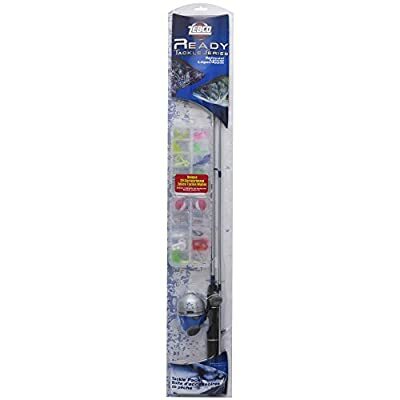 Ready Tackle's exclusive slection system takes the mystery out of selecting general purpose tackle. It's the right tackle, expertly organized for you by the pros for a great value price.